Gerardo Molina, an expert in sports marketing, has compiled a study on the marketing value of Lionel Messi and claims the Barcelona star is far more marketable than Real Madrid ace Cristiano Ronaldo. Molina, a honourary profesor and specialist in sports marketing for the company Euromericas Sport Marketing, explained his report while speaking on radio station Cadena SER. He said: "Messi is five times more marketable than Cristiano Ronaldo. "According to studies, Ronaldo is worth between €150 and 160 million. Messi's buy-out clause is €250 million, we believe that figure is obsolete and devalued. 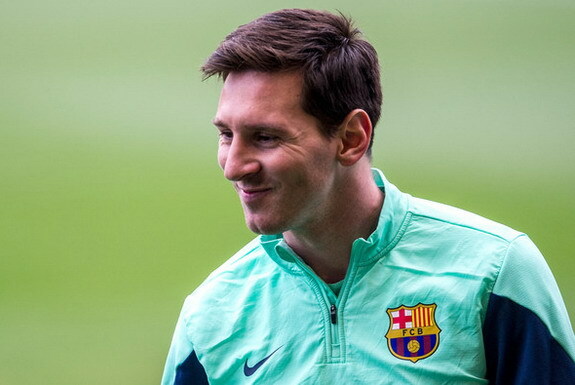 "Right now there is no player in the world of sport that has a greater value than Leo Messi. According to market research in the last five years, Messi is worth €400 million." Molina also revealed there is a European club that would be willing to pay the astronomic fee for the Argentine wizard. He added: "There is a club that is practically sponsored by a government that would be prepared to pay €400 million for Leo Messi. "There are three European clubs that asked us to come up with this study in order to find out how much Messi was worth. We cannot say who the clubs are. The clubs wanted to analyse the viability of a possible transfer for Messi."